Let’s talk knits. My favorite sweaters have a common theme…they all seem to be neutral, draped or oversized, detailed and soft textures, and pretty necklines. Oh, and they are almost all Free People! As mentioned a couple weeks ago, Free People is one of my favorite brands. I have yet to find a sweater of theirs that I do not love. I always find myself headed straight to the FP section either at Nordstrom or online at Nordstrom. I just ordered this and this, perfect for winter layers! 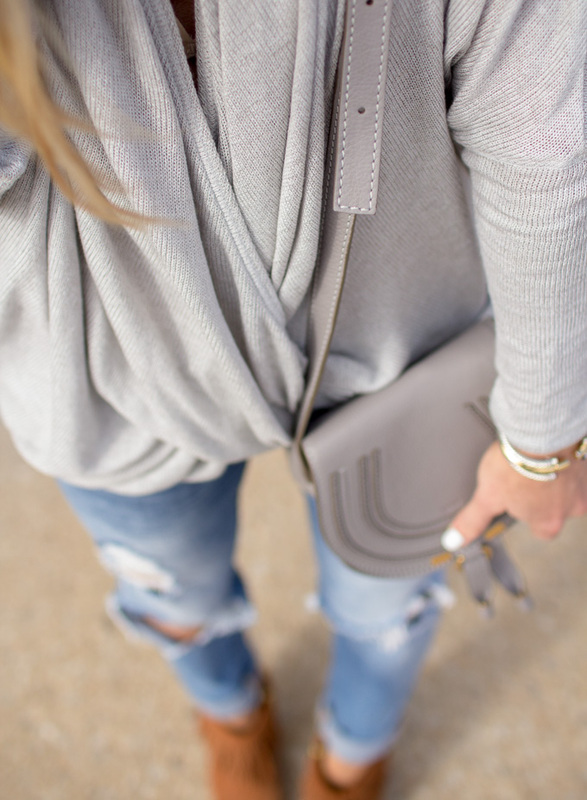 This draped wrap knit sweater is such a flattering style and I love the color. It is thin enough that it is perfect for layering. It comes in 3 other colors and under $75! Awesome dress! Gorgeous on you! Love that bright color that changes compared to the traditional look we use to wear too much! Love this sweater and the way it drapes. The color is also fantastic!